Feigenbaum Dental has been creating beautiful smiles with a gentle touch for more than 30 years. We are excited to announce the anniversaries of our dentists, Dr. James Feigenbaum and Dr. Jenna Feigenbaum. Together, they provide personalized family dentistry services for comprehensive care. Due to their diverse training and qualifications in various aspects of dentistry, they deliver a wide range of services, from preventive care to sleep apnea appliances in Creve Coeur. Dr. James Feigenbaum celebrates his 30-year anniversary at Feigenbaum Dental. After graduating from the University of Missouri-Kansas City School of Dentistry in 1986, he returned to his hometown to provide the residents of Creve Coeur with general dentistry services. However, by continuing his education throughout the years, he specializes in many areas of dentistry, including gum disease, cosmetic enhancements, and minor oral surgery. His cosmetic and orthodontic background allows him to provide patients with a straight smile using Invisalign, one of the latest advancements in orthodontic care. His fields of specialty also include implant restorations to help restore oral health and functions after tooth loss. In addition, he also offers treatment for sleep apnea. Using the latest advancements in technology and his background in the sleep disorder, he provides treatment using the EMA appliance for effective sleep apnea treatment. Working by his side is Dr. Jenna Feigenbaum, who graduated with honors from the University of Missouri-Kansas City School of Dentistry in 2013. While Dr. Jenna Feigenbaum has been in practice for three years, we are excited to celebrate her 1-year anniversary with Feigenbaum Dental. Dr. Jenna holds diverse training in an array of dental specialties, including extensive training in oral surgery, pediatric dentistry, endodontics, and periodontics. However, her true passion lies with children’s and family dentistry. With a mission to deliver patient-focused care, she treats patients of all ages to enhance the health and beauty of smiles. Feigenbaum Dental is a full-service family dental office, offering all of the services your family needs for healthy, beautiful smiles. In addition to general family dentistry, including preventive care, your team of dentists provides the restorative procedures needed to restore the health and function of teeth. To ensure your family’s smile look their best, Feigenbaum Dental offers an array of cosmetic dental services to create a flawless smile. We even offer advanced areas of dentistry, including periodontal therapy, sleep apnea treatment, and dental implants to ensure all of your family’s needs are met under one roof. 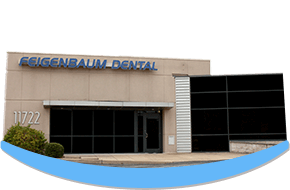 At Feigenbaum Dental, we are committed to providing the utmost level of care to our patients. We are excited to celebrate the anniversaries of Dr. James Feigenbaum and Dr. Jenna Feigenbaum with you. Serving the community for the last 30 years, we look forward to providing the dental care your family needs for many more years to come. If you are looking for a team of dentist who will grow with your family, we invite you to join our family at Feigenbaum Dental. Contact our office today to schedule an appointment.